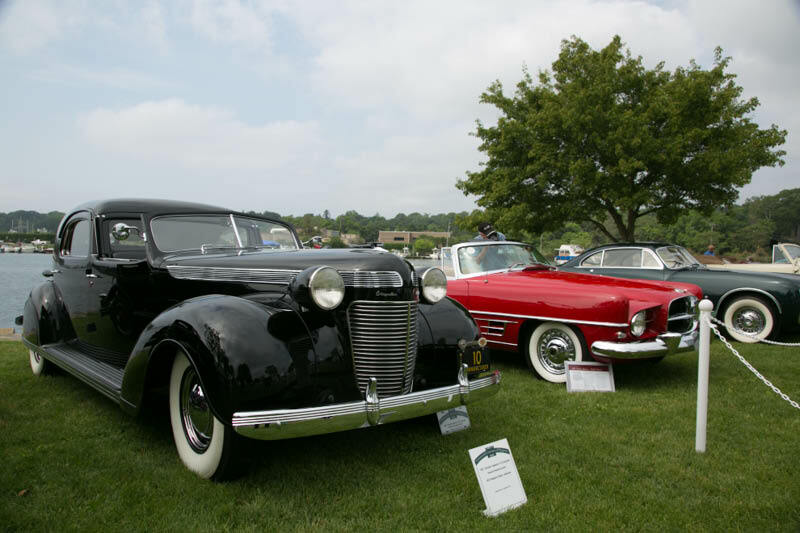 The 1937 Chrysler's Chrysler and the 1963 Mustang III Concept Show Car were both honored at Saturday's Greenwich Concours Americana d'Elegance. 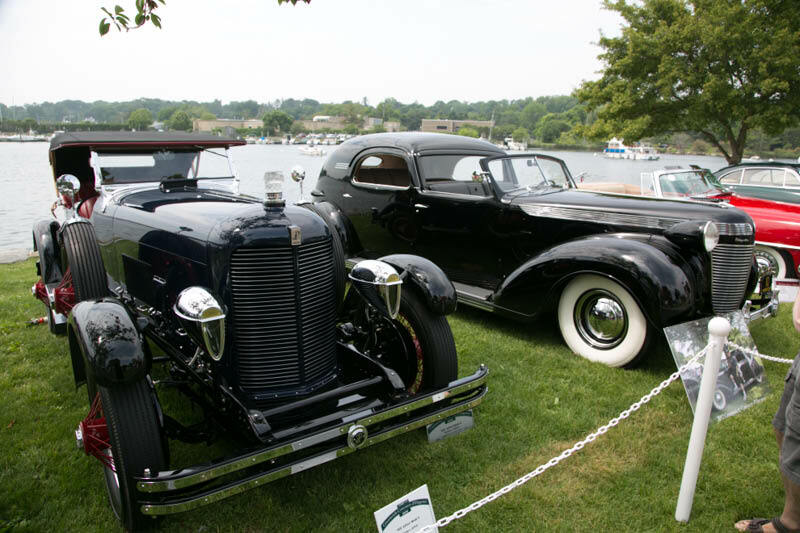 The Mustang III was awarded "Best in Class- Ford Performance" and Chrysler's Chrysler received a special "Best of the Best Award." The Ford Performance Class including Shelby Mustangs, Cobras, and Mustangs. 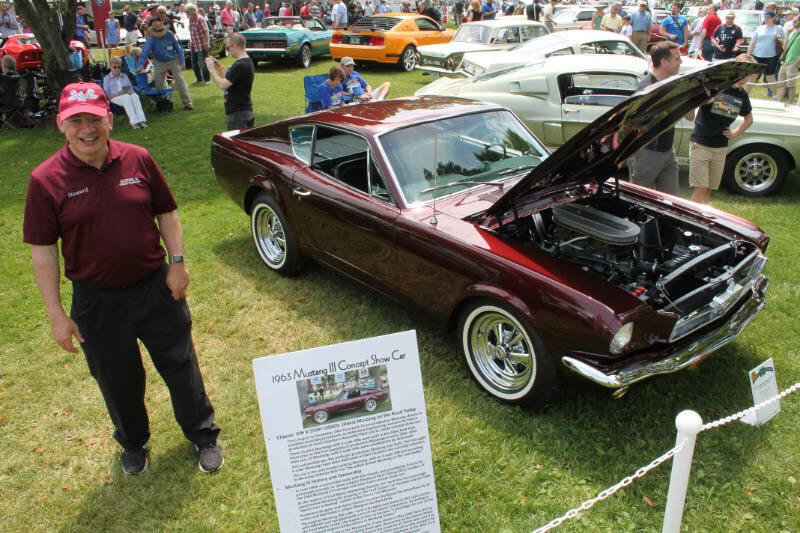 This was the first major concours for the Mustang III since its debut appearance at the 2013 Amelia Island Concours d'Elegance following its restoration. 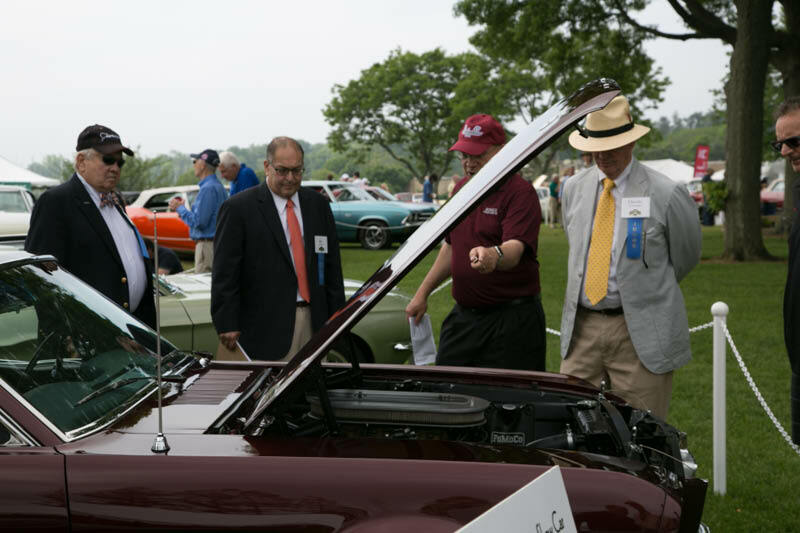 The Mustang III attracted a crowd throughout the day. Pointing out the 302 cubic inch engine to the judges. 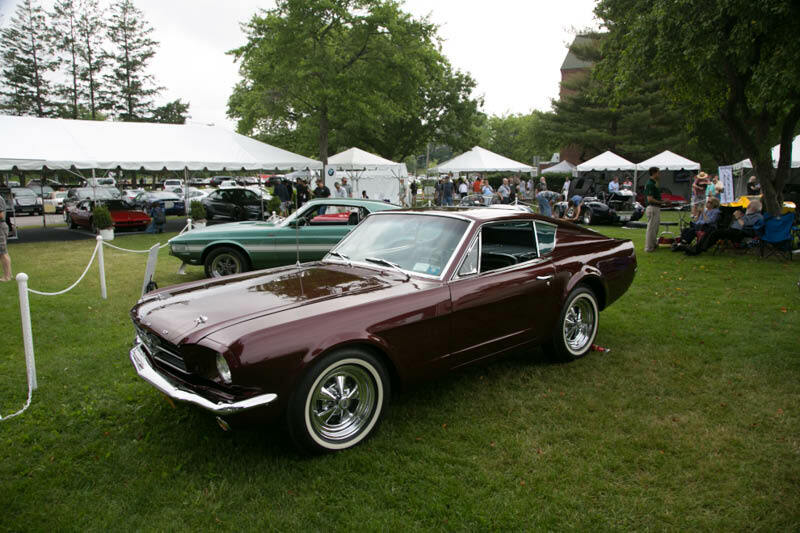 The 1963 Mustang III Concept Show Car was awarded Best in Class for Ford Performance. Thumbs-up courtesy of Bruce Adams. 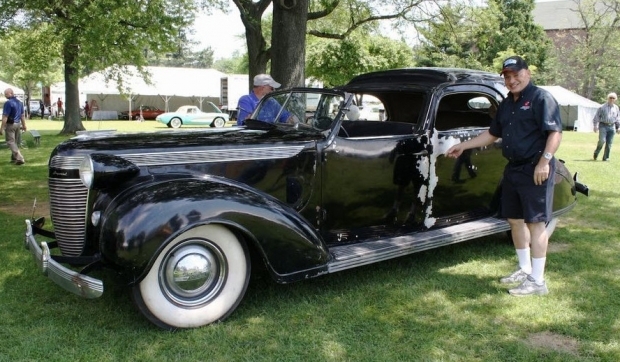 The 1937 Chrysler's Chrysler was invited back to the Greenwich Concours with a select group of previous Best in Show, Chief Judge and People's Choice winners. 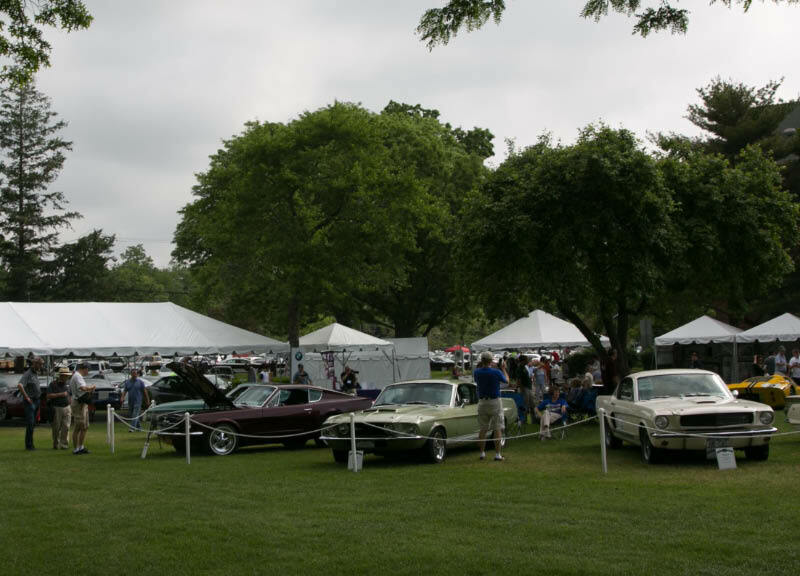 The unrestored Chrysler's Chrysler was awarded People's Choice at the 2012 Greenwich Concours. 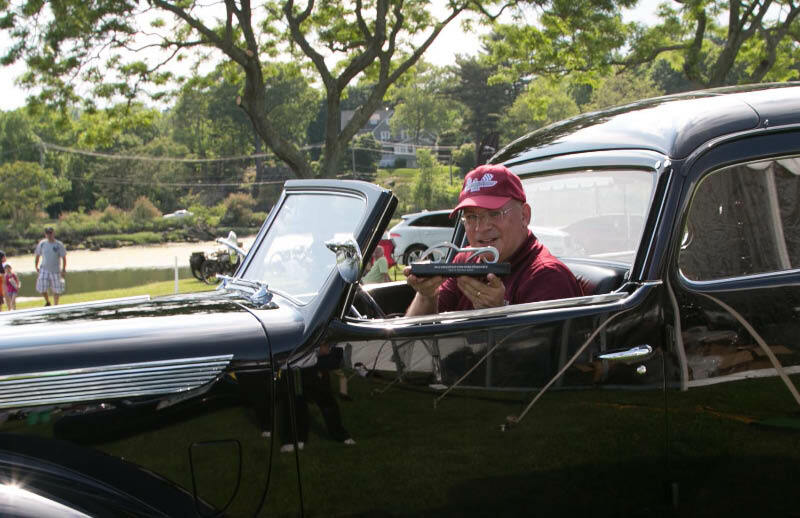 The 1929 duPont Speedster Model G owned by Tom duPont. 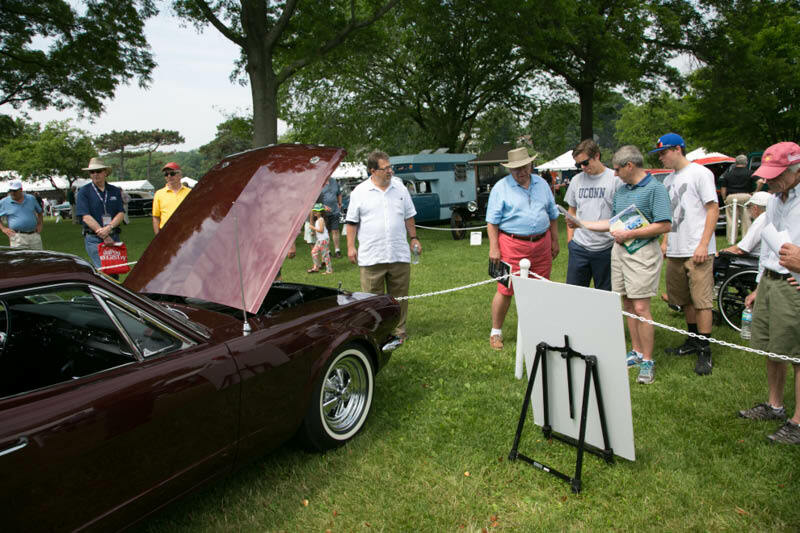 The Speedster was awarded Chief Judge's Award at the 2006 Greenwich Concours. 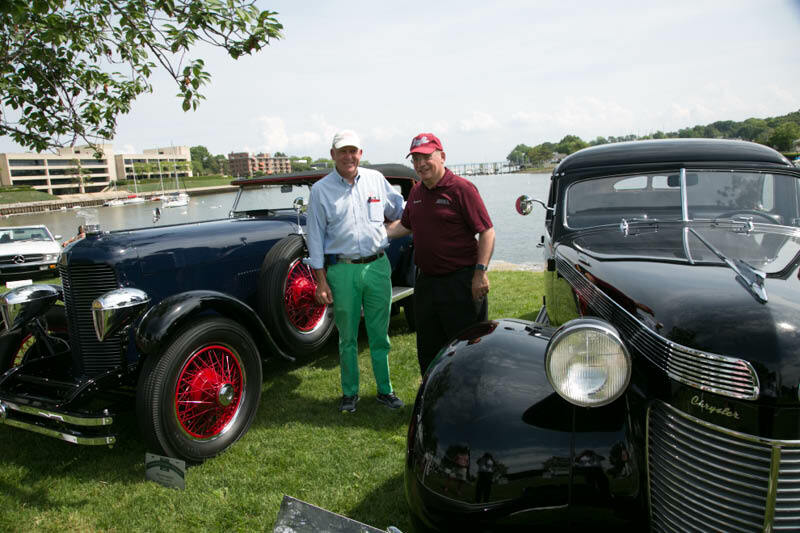 Tom DuPont, publisher of the duPont Registry, and Howard Kroplick. 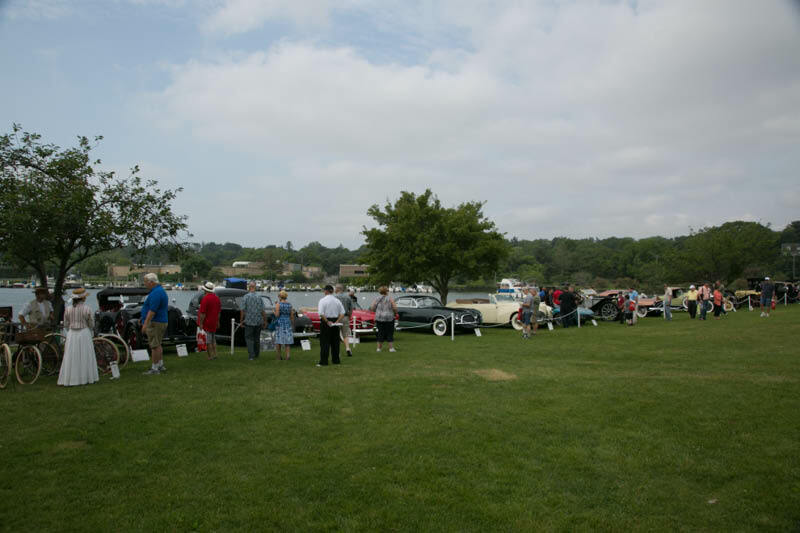 To the right of the Chrysler's Chrysler was a 1957 Dual Ghia D-500 Hemi. 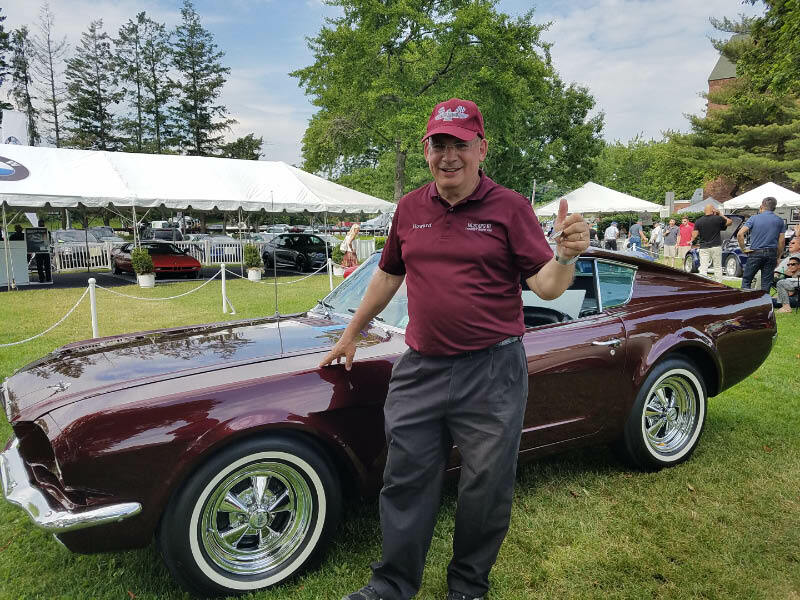 Of the 117 Dual Ghias produced, only 32 still exist. 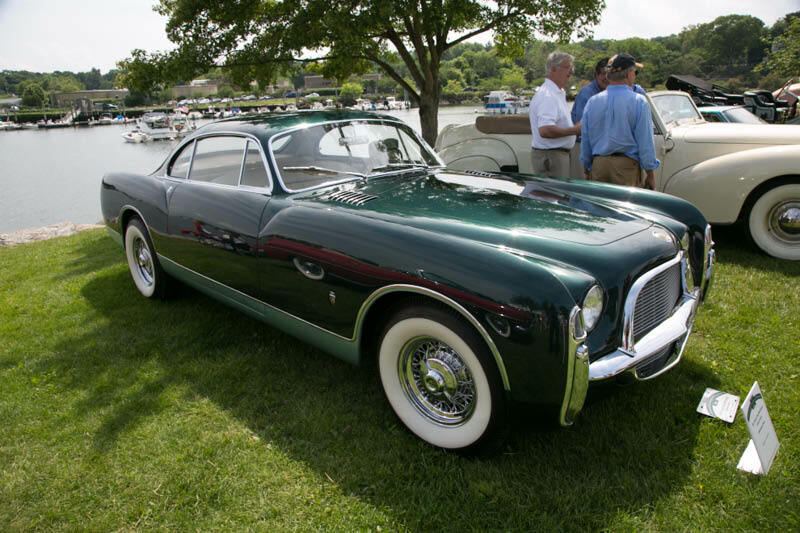 1952 Chrysler Ghia SWB Prototype was the People's Choice at the 2006 Greenwich Concours. 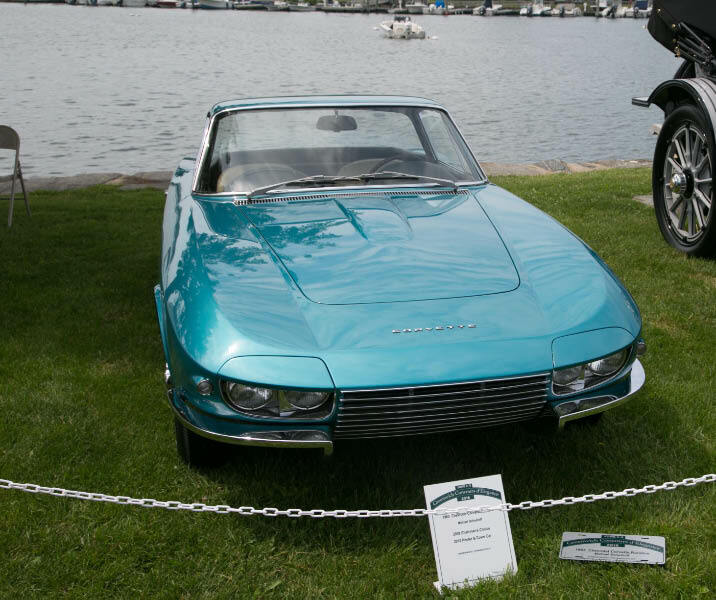 1963 Chevrolet Corvette "Rondine" Prototype was the 2008 Chairman's Choice and 2012 Poster car. Accepting a "Best of the Best" award for the Chrysler's Chrysler. 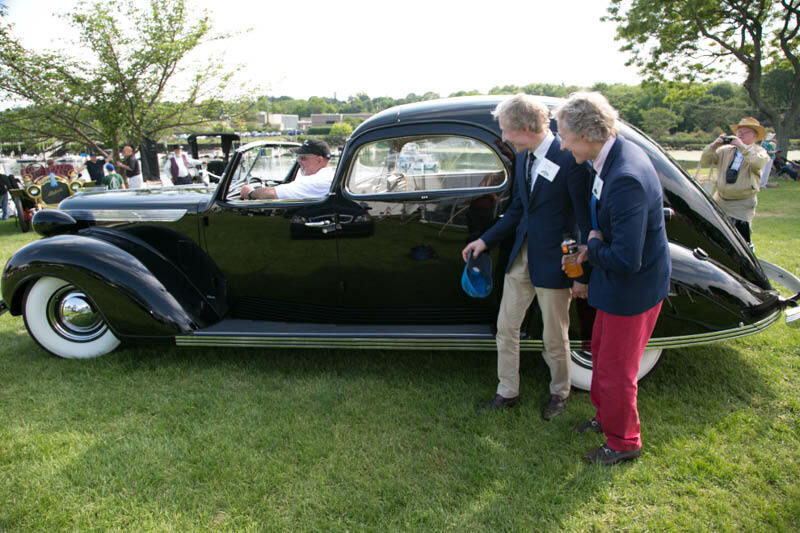 Leigh and Leslie Keno admiring Chrysler's Chrysler before heading to the trailer. Congrats Howard! Looks like a great day! I LOVE the Chrysler!!!! You definitely had the better weather day on Saturday but Sundays weather was not as bad as forecast. 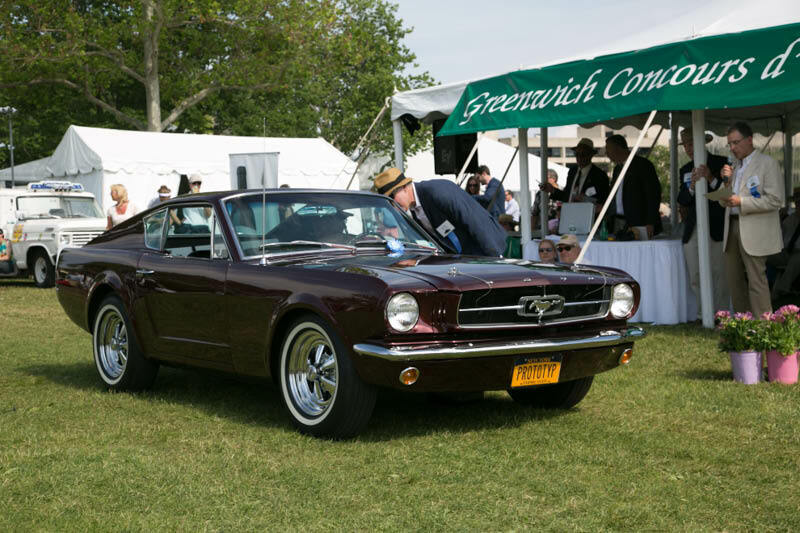 I really enjoyed the experience of showing a car at Greenwich. As always enjoyed talking to you. 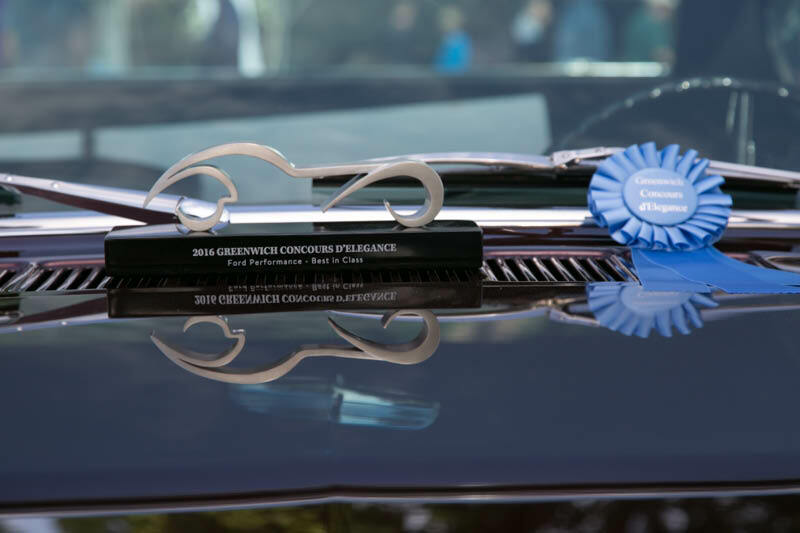 Not many two time winners at Greenwich Howard! It was great seeing you there. This is one of my favorite shows. I recommend it to anyone who hasn’t attended. 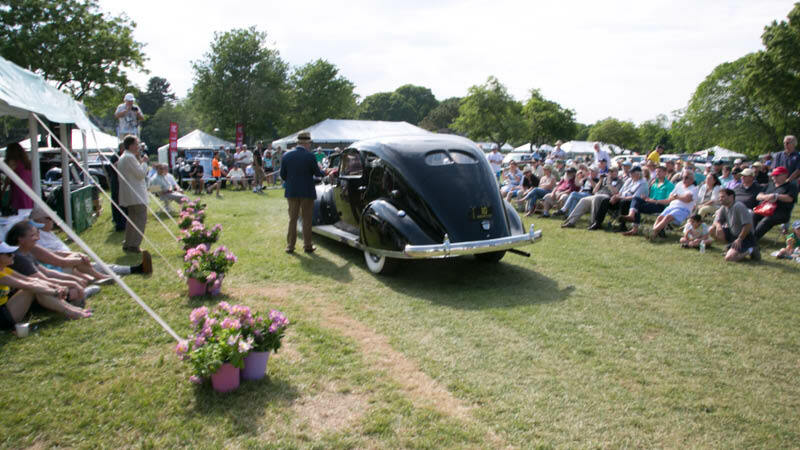 Some of the finest classic cars on the planet every year.